I had an old pair of these for years and I’m tnd end the pad seam gave up the ghost - time for a replacement. These are well made shorts with wide shoulder straps to ease the pressure over your shoulders. 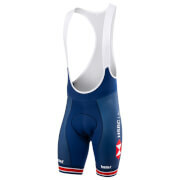 Pad is comfortable and the silicon leg grippers hold the shorts nicely in place. In short, well worth the money. 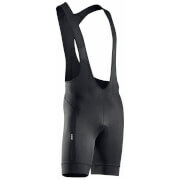 I have been really impressed with the Quick-Step Bib Shorts I purchased from Probikekit. 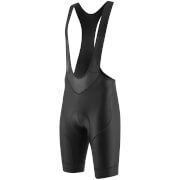 I use them in spin classes and they are comfortable and provide all the things you would expect from good cycling shorts. Good price and delivery. Great fit. 3D pad is great. Rode for 3 hrs no soreness or chaffing.